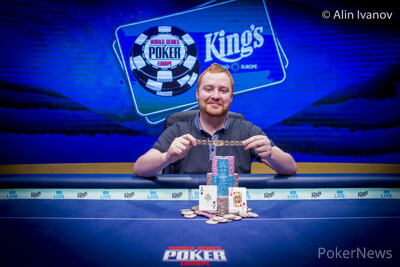 Niall Farrell won his first bracelet and €745,287 in prize money for topping a field of 113 entries in Event #9: €25,000 No-Limit Hold'em High Roller at the World Series of Poker Europe. It's the biggest cash in a wildly successful young career for "Firaldo," who now boasts over $4.4 million in live tournament winnings. It's also sweet redemption after two previous near misses. "Feel fantastic," he said. "It’s so nice to finally get over the line especially after losing heads-up twice. Especially in a field like this, it’s pretty prestigious." The Scotsman had previously finished runner-up to Sandeep Pulusani in Event #44: $3,000 No Limit Hold'em in 2013 and then to Safiya Umerova in Event #50: $1,500 No-Limit Hold'em Shootout in 2016. While both of those players certainly earned the pieces of WSOP gold they strapped around their wrists, neither would be mistaken for the players in the ultra-tough field Farrell fought through to win this one. Any high roller will typically bring out the big guns, but one set in Central Europe sits in particularly shark-infested waters. Germany, which boasts arguably the world's strongest collection of players, sent a strong contingent and dominated Day 1. Ole Schemion, Claas Segebrecht and Stefan Schillhabel would all advance to the streamed final table. France also showed out with Sylvain Loosli joining 2017 WSOP Main Event final tablists Antoine Saout and Benjamin Pollak. Ryan Riess and Andrew Leathem rounded out the bunch. Given the incredible level of competition, Farrell had to be at his best. He's been known to imbibe his share of beers at the felt, but he decided to keep the drinks on ice until celebration time. "For the higher stuff you have to engage your brain," he said. "You don’t want to give these guys any more of an edge than they already have. I had to keep a clear mind for sure." Farrell and the rest of the players had to do a different sort of thinking than the mental calculations they're used to running. While WSOP events are typical known for their slow, methodical structures that lead to deep stacks and plenty of play, this one featured 40-minute levels and none of the action timers that have become standard at high roller events. That led to a unique dynamic with short stacks. Perhaps nobody had to adjust more than Farrell, who toted fewer than eight big blinds as the tournament headed to 200,000/400,000/50,000. He just seemed to time his shoves for when his outs were at the top of the deck, winning two key all-in pots with live cards against weak ace-highs and another one when he was on the other side. "Poker players always think they’re the best player in the field, but to be honest I would say I’m in the top third, because it’s quite tough," he said. "A lot of it was just good fortune." Farrell dispatched Segebrecht in third to get heads up with Pollak, who has been on a tear this year with third place in the WSOP Main Event and another third at a major final table accounting for over $4 million in cashes. Farrell executed a daring three-barrel bluff for almost all of the chips when he missed a straight draw on a wet board and two bricks ran out. 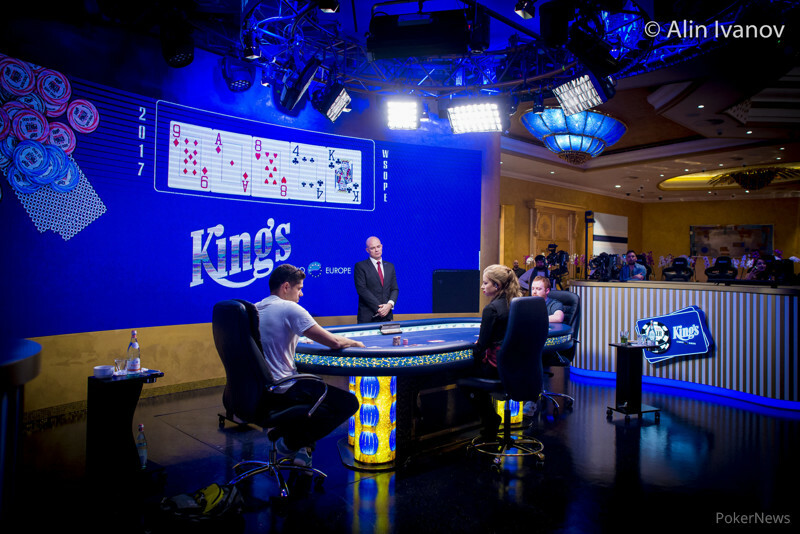 Pollak spent forever in the tank but couldn't find the call button with a pair of kings he hit on the river after twice calling with king-high on the ace-high board. "He was in the tank for eight minutes," Farrell said of the sweat. "With the lights and everything. He’s a very strong player so once you get heads-up it was kind of like, 'Well, I hope I get ace-jack and he gets ace-nine!'" Farrell proved he could win without the help of the deck in that pot, which he called "pivotal." However, almost that very scenario played out moments later when Pollak jammed ace-seven over Farrell's open and the Scotsman called with ace-jack and held. 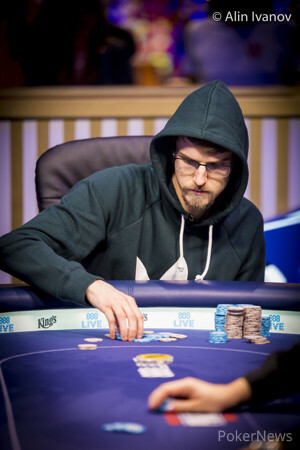 Not only did Farrell claim WSOP gold for the first time, but he completed the live triple crown as he already counted EPT and WPT titles among his wins. Each one has a special place in Farrell's heart, so he refused to elevate one over the others, even one against competition he acknowledged to be so challenging. "It's impossible to separate them all," he said. "I’m going to be diplomatic and say they’re all equal at the moment, but this one is freshest so I’m loving this one." Reporting from Will Shillibier contributed to this story. Hand # 124: Niall Farrell raised to 2,200,000 holding and Benjamin Pollak shoved all in with . Farrell had Pollak covered and the board ran out . 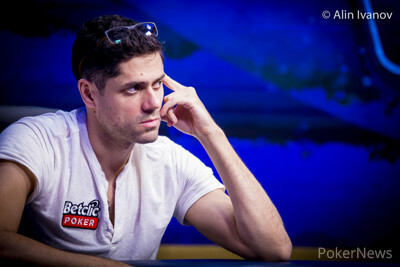 Pollak was eliminated in second place and took home €460,622. Pollak had the lead at the start of the final table and again three handed, but thanks to a lopsided heads-up match, Farrell wins his first WSOP gold bracelet. Hand #119: Benjamin Pollak raised to 2,200,000 with and Niall Farrell called with . The flop came and Farrell check-called a bet of 1,900,000. The turn went check-check and the river was the . Both players checked and Farrell won with his pair of eights. Hand #120: Farrell limped with on the button and Pollak checked in the big blind. The flop came and Pollak check-called a bet of 1,000,000. The turn was the and both players checked. The was checked by both players and Pollak won with his pair of tens. Hand #121: Pollak raised to 2,200,000 and Farrell called with . The flop came and Farrell check-folded to a bet of 2,800,000. Hand #122: Farrell limped and Pollak raised to 4,800,000 with . Farrell folded. Hand #123: Pollak raised to 2,200,000 with and Farrell folded . Hand #112: Benjamin Pollak got a walk. Hand #113: Pollak limped with from the small blind and Niall Farrell checked his option with . The flop came and both players checked. The turn was the and both players checked again. The river was the and Farrell bet 1,000,000 and Pollak raised to 4,200,000. Farrell folded. Hand #114: Preflop action unknown. Pollak checked the flop and Farrell bet 2,000,000 holding . Pollak called with . The turn was the and Farrell bet 5,700,000. Pollak called. The river was the and Pollak checked. Farrell bet 10,000,000 and Pollak folded the best hand. Hand #115: Pollak limped the small blind and Farrell raised to 4,000,000. Pollak folded. Hand #116: Farrell limped with and Pollak shoved all in with . Farrell folded. Hand #117: Farrell got a walk. Hand #118: Farrell limped the small blind with and Pollak checked his option with . The flop came and Farrell bet 1,000,000. Pollak called. The turn was the and Farrell checked. Pollak checked behind and the river was the . Pollak bet 2,500,000 and Farrell called. Pollak won the hand. Hand #111: Niall Farrell shoved all in with from the small blind for an effective stack of 2,750,000. Segebrecht called with . The board ran out and Segebrecht was eliminated in third place. He will take home €321,363 for his finish. Niall Farrell and Benjamin Pollak are now heads up. Hands #107-110: Pollak Makes a "Weird Check-Fold"
Hand #107: Niall Farrell got a walk. Hand #108: Benjamin Pollak raised to 1,900,000 with and took down the pot. Hand #109: Farrell raised to 1,700,000 with and Pollak defended his big blind with . The flop came and Pollak checked to Farrell who bet 2,000,000. "I'm going to make a weird check-fold," said Pollak, who did exactly that. "It's kind of a weird 3 a.m. play." Hand #110: Farrel got a walk in the big blind with . Hand #101: Benjamin Pollak raised to 2,300,000 out of the small blind with and Niall Farrell folded the big blind. Hand #102: Pollak raised 1,700,000 with and Claas Segebrecht called in the big blind with . The flop came and Segebrecht check-folded to a bet of 2,000,000 from his opponent. Hand #104: Benjamin Pollak limped in the small blind and Farrell checked in the big blind. The flop came and both players checked. The turn was the and Pollak bet 1,000,000. Farrell called. The river was the . Pollak bet 4,500,000 and Farrell folded. Hand #105: Farrell moved all in with from the small blind for 12,500,000 and Segebrecht called in the big blind with . The board ran out and Farrell doubled up with trip jacks. Hand #106: Claas Segebrecht shoved all in for his last 2,475,000 with from the small blind. Benjamin Pollak called from the big blind, but didn’t seem to love it as he shrugged and called with . The board ran out and Segebrecht doubled up.